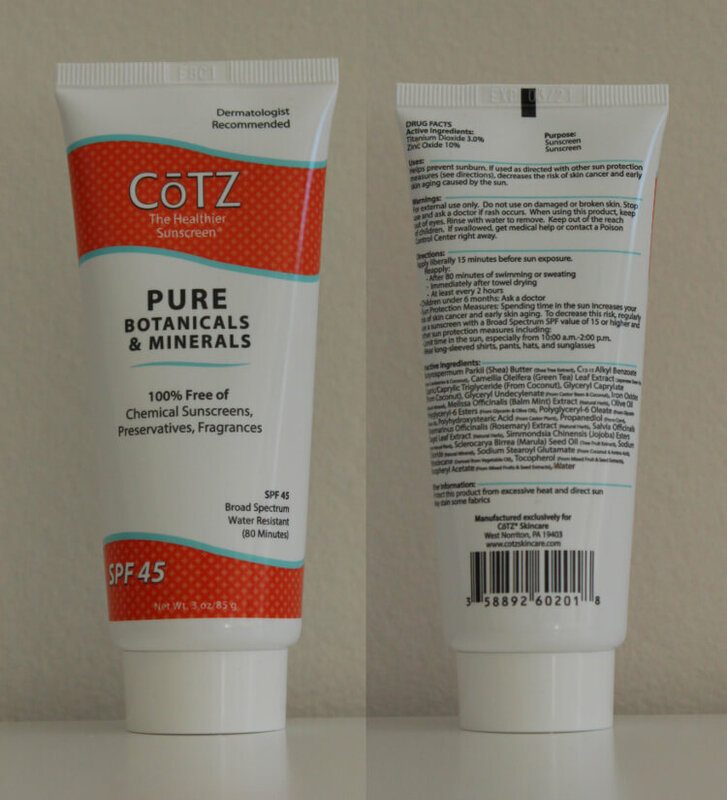 This is a hands-on review of the CoTZ Pure Botanical & Minerals Sunscreen. CoTZ sent me this product as part of a 4-product sample pack. I’ve written a review on each of them and included photos of the packaging and the product in use on my skin to show you what it looks like. This fits the bill for a SimplySunSafe recommendation as I avoid recommending chemical sunscreens at all costs. That’s a long and intimidating list. However, if you remember from earlier, this sunscreen is plant-based. So all of these inactive ingredients (this just means they don’t provide any sun protection) are, although extracted, natural. There’s no oily or pore-clogging ingredients and nothing that jumps out to me as worrying from a health perspective. 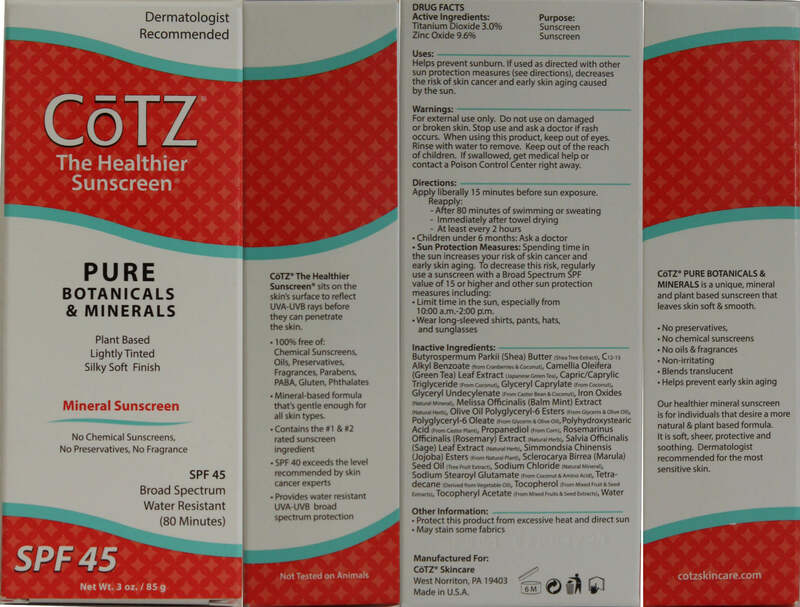 Having said that, this sunscreen isn’t the optimal CoTZ product for your face. 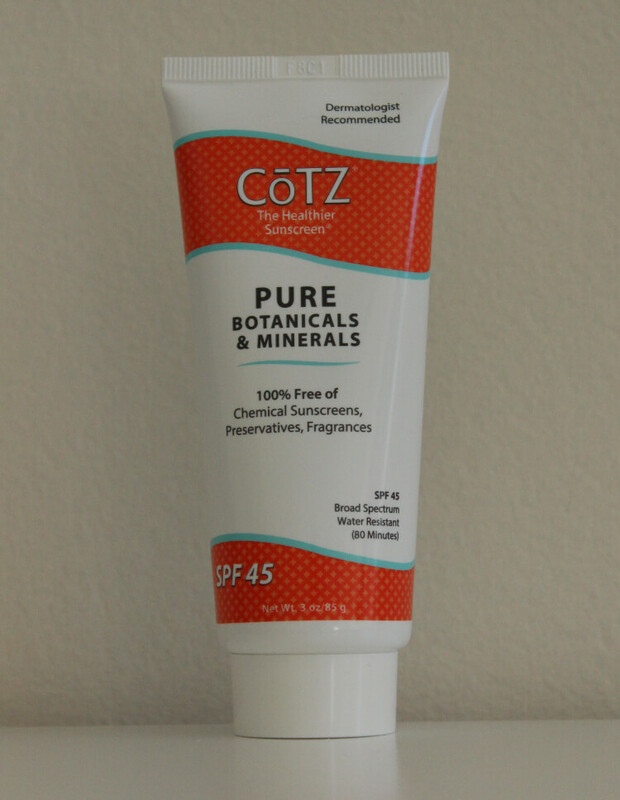 Check out my review of the CoTZ Face Sunscreen if you’re looking for a facial sunscreen. Here’s what I think of the product – addressing important considerations you might have before buying. I tested this sunscreen for an extended period in the sun (a few hours) and my skin came away completely unscathed. No reddening or dryness to be seen. This is because sunscreens that use a combination of zinc oxide and titanium dioxide are bound to provide amazing protection. Together they cover the entire UVA and UVB spectrum (to stop UV radiation A. altering your DNA and B. burning your skin). 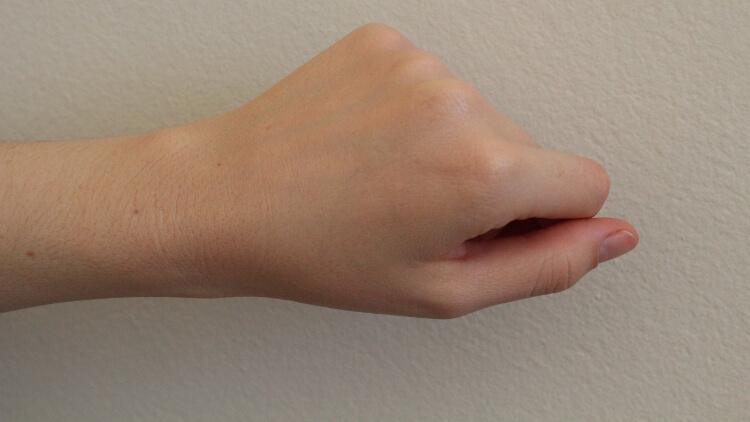 Plus, they do this without letting the light actually reach your skin by forming a (physical) barrier and acting like a mirror reflecting light away from you. This can work to keep you cooler as chemical sunscreens absorb the light as it reaches the skin. 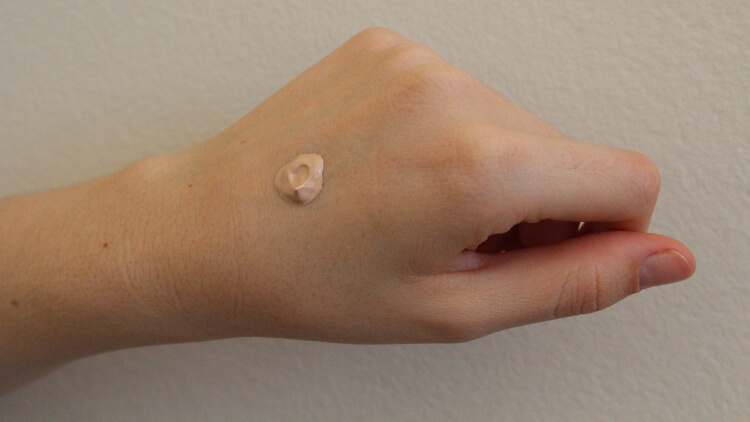 This broad spectrum protection is paired with an SPF (Sun Protection Factor) of 45. That’s great news and well-above the SPF 30 level recommended by the experts over at the Skin Cancer Foundation. Sunscreens with SPF 45 protection block 97.8% of UVB radiation, allowing only 2.2% to reach your skin (when applied and reapplied correctly). This sunscreen has your back (well, wherever you put it) when it comes to sun protection. 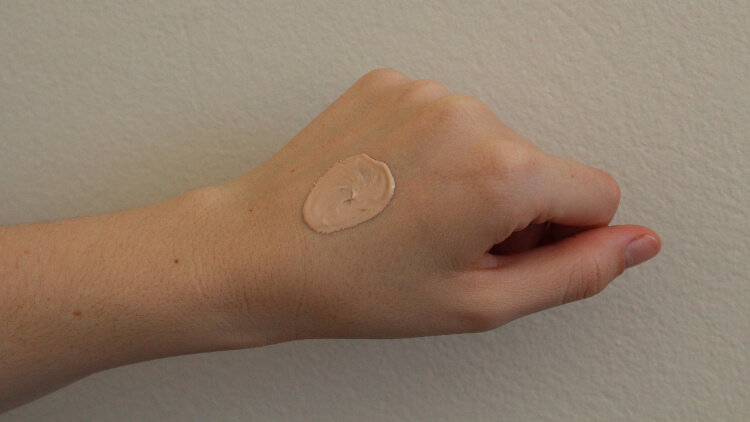 This product has a light tint that will blend well with most light-tan skin tones. 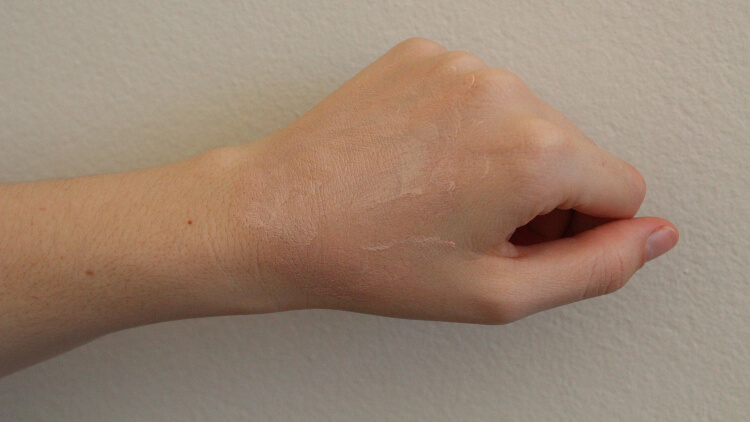 Although it looks quite noticeable coming out of the bottle, once it’s on your skin, well-applied and dry, it’s barely noticeable. For lighter skin tones it can provide a tiny bit of color to emphasise a tan look, but it’s not about to replace a fake tan. The formula is neither greasy or oily. The ingredients don’t indicate that it would be and it isn’t. I covered myself in the stuff and don’t have anything to complain about in this department. 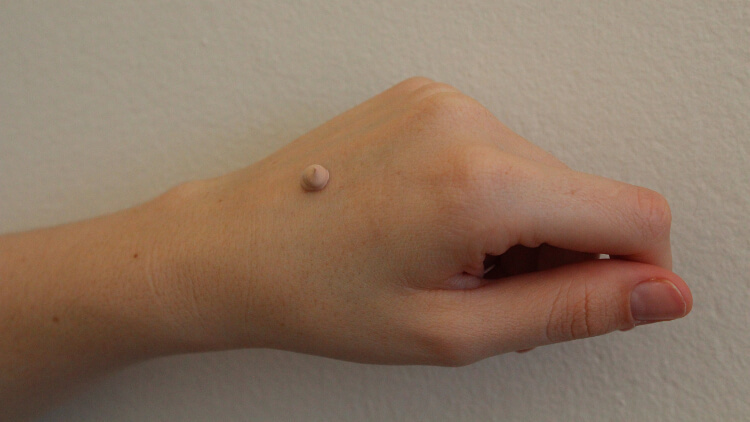 When applied correctly and dried thoroughly the sunscreen doesn’t leave your skin completely matte. There is a small amount of shine (as you would expect from most sunscreens) that’s made less noticeable by the tint. The amount of shine wouldn’t be a deal-breaker for me and I’d happily wear it on a daily basis. I can’t smell a thing. There’s definitely none of the chemically smells you’d associate with your run-of-the-mill sunscreens but there’s no stale smell that some physical/mineral sunscreens can have either. The texture of this product is amazing for a sunscreen with such a high concentration of active ingredients and the level of SPF. Usually this level of protection comes with price – a thick gloopy mess. This Pure Botanical & Minerals Sunscreen, however, is silky smooth. The texture of this sunscreen, as mentioned, it amazing. This makes application a breeze. It’s easy to rub in and goes on without issue. If you want to use products over the top of it (like makeup), make sure you work it in well and wait 5-10 minutes for it to completely dry. This will give it time to settle and provide a solid base for any additional products you need. There’s not a lot of ingredients in this product that provide a moisturizing effect. If you’ve got dry skin and want something that is both a moisturizer and sunscreen I’d probably look elsewhere. That’s not to say it dries you out though. When I used it I didn’t feel any dryness (from the product or the sun) after use. But it wasn’t particularly hydrating either. It offers sound sun protection (which should be the main concern) and has awesome cosmetic features (tint, texture, and ease of application) that you don’t find in a lot of physical sunscreens. I love it and will probably continue to use it as one of my main daily sunscreens.